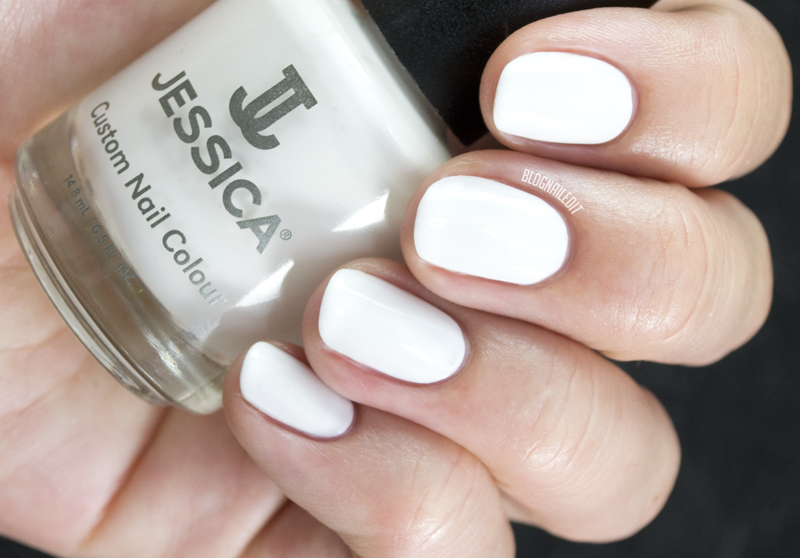 Up for your viewing pleasure is something I've been wanting to try - Jessica Cosmetics polishes. I've seen the line used by other bloggers, and have wanted to give them a try myself, so today's post features their spring 2014 line of colors, Coral Symphony. I liked the way the colors bled into one another, complementing each other well while also creating a beautiful fading rainbow if lined up against one another. I thought it'd look good as an ikat gradient (similar to my running gradient technique used and shown in a tutorial here). The colors applied really well. They masterfully laid on my nail in two creamy coats each. I love creme finishes, and these all had that. I wasn't the biggest fan of the brush, but as a tech, I've gotten used to the OPI brush, so I may just be biased toward that. For swatches of these colors, read on! Sharktooth is just a stark white. Not much more to say about it. In line with the color of the year, Radiant Orchid, Ocean Bloom is a creamy lilac, a little bolder than my swatch. Monsoon Melon is a creamy cantaloupe, the most wasteful of fruits if you ask me. Don't let my distaste for the melon dissuade you from this color though, it's lovely. Tropical Sunset is a hot coral shade. It veers red more than pink. 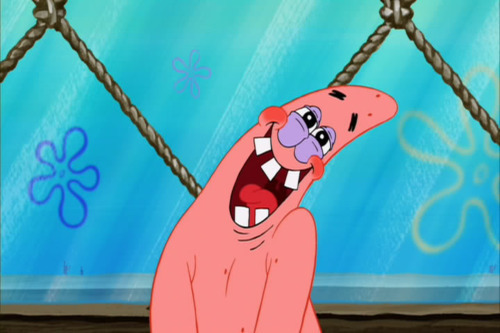 Starfish Glow is the color of Patrick's cheeks when he gets flustered...a warmer, darker pink than Conch Shell. Essentially a quintessential pink. Looking at Jessica Cosmetics's site for the collection, they show jellyfish floating in the water, and the names of the colors are obviously sea-worthy. Looking back, I wish I'd done a design with an ocean theme, but the ikat works nonetheless. How would you combine these colors on your own nails to create nail art? These products were sent to me by Jessica Cosmetics. The reviews are based entirely on my experience with the products and were in no way influenced by anyone. I love the cream finish of each polish and the colors are gorgeous, all of them! 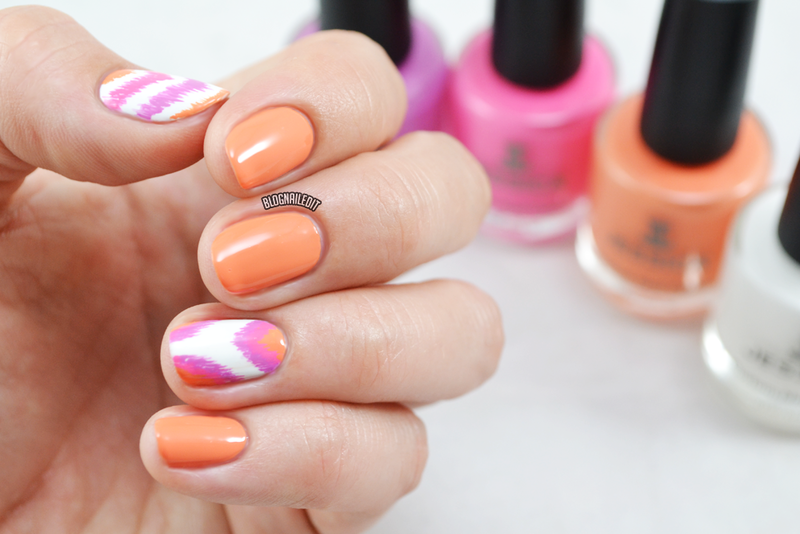 These all look gorgeous, and perfectly summery :) I love the ikat nail art!